Save Some Green On Your Garden! Looking for ways to save money on your garden and yard is probably on your mind as you total your seed order for the spring. Growing fruits and veggies is supposed to save money on our grocery bill, right? And spending time in our yard and garden is relaxing and enjoyable. But it’s hard to relax when you feel like the only thing you’re growing is a credit card bill! Talk to your loca County Extension Office about your local growing conditions. Your Extension office will have a ton of information about local growing conditions, plant diseases to watch for, and best planting dates. They may have soil testing available and disease identification for your garden and landscape plants. Want to learn how to preserve the harvest? They can help you with that too. Since our tax dollars support this service, you don’t have to pay any extra for the information…although the soil test will be a paid service. Do a soil test to see what plants will do best in your soil. Before you start planting, or even planning, test your soil to see if it is heavy clay, sandy, loamy…is it acid or alkaline? You’ll want to choose the best plants for your conditions and you’ll save time and money if you start out with a soil test before making any plans or putting down roots. Plan your garden before you start planting it! Once you know what grows well in your area, sit down and draw up a plan for your yard and garden. 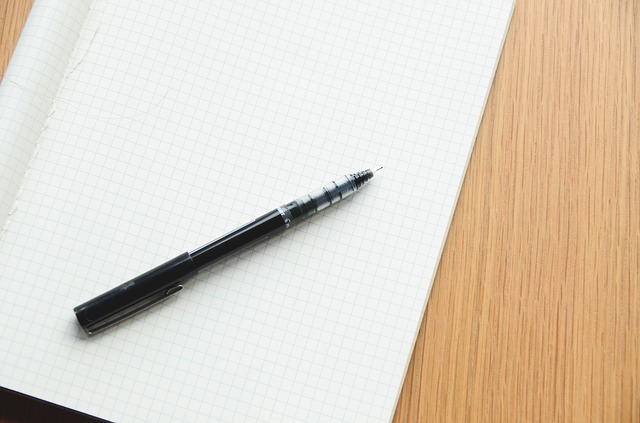 Measure the space, note the growing conditions, jot down your ideas, and draw out a design. Having a plan will help you avoid costly mistakes down the road. Once you have an overall design, come up with a plan for projects to accomplish each year. If you have a lot of space, you may want to set 1 year, 5 year, and 10 year goals for your property. This allows you to plant the slower growing trees and shrubs first and then fill in around them as you go. It also spreads the cost of landscaping over multiple years instead of trying to cram all of the expenses in right away. Be sure to work these features into your overall design instead of putting them in as an afterthought. Plan where a vegetable garden will go before you turn the soil. Check for a spot that receives at least 8 hours of sun a day. Ideally, the garden will be close to your water source and kitchen to make caring for it, and harvesting, quick and easy. It would be a shame to spend time and money putting in raised beds, fruit trees, etc. and then have them crowded, more susceptible to disease, and unproductive. Make sure you allow space for the mature size of trees, shrubs, and perennial plants. 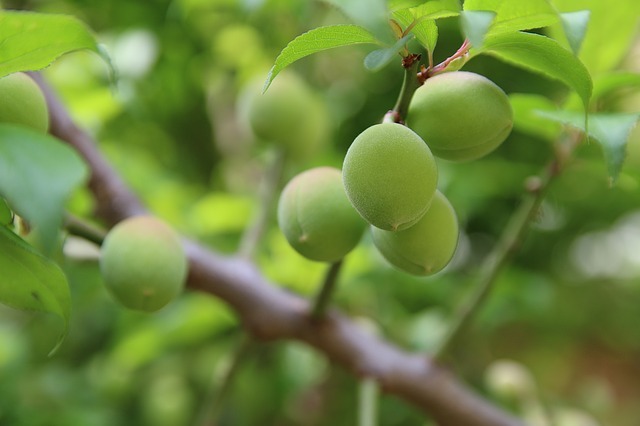 If you plant too closely, you’ll have to remove some, or spend time and energy pruning them back. So leave room to grow and you will spend less on your landscape in the long run. Smaller trees and shrubs are easier to plant yourself and they cost less. 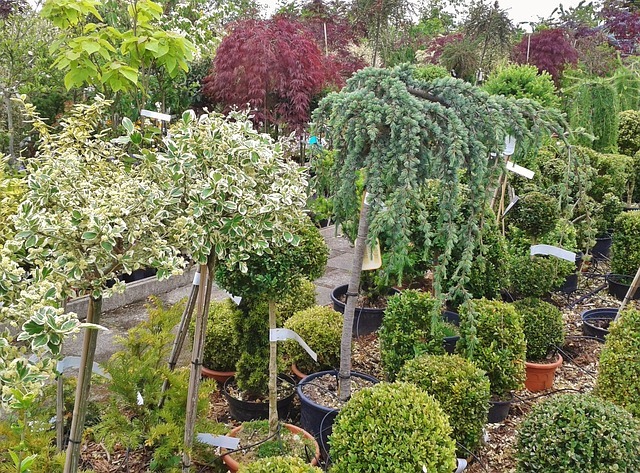 Nurseries want to sell the large balled and burlapped trees and shrubs. These plants cost more…a LOT more. What the sales person won’t tell you is that the large b&b trees take longer to recover from digging and transplanting than small potted trees. It won’t take long for a small potted tree to catch up to a larger tree because the planting process is less stressful. Note: When planting potted trees, be sure to unwind the roots and spread them out, or trim them. Roots that have wound around inside the pot will continue to grow that way and may strangle the tree when it gets large. So pruning them is best for the long term health of the tree. Start with small trees to save money and you’ll be able to plant them yourself. If you start with smaller potted trees and shrubs you can plant them yourself and save a ton of money. Nurseries charge a premium for sevices such as delivery and planting. 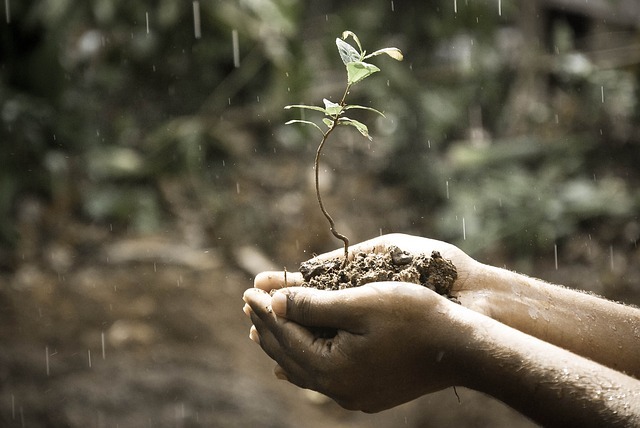 Research the best practices for planting your own trees and shrubs before you start and keep the soil properly watered to prevent plant loss. Don’t spend money on plants and put them in spots where they won’t thrive. Put moisture loving plants in low, wet spots and shade lovers where they won’t get burned up by the sun. Do some research into your growing conditions and find out which plants will do well. Choose plants that grow well next to each other and repel pests for their companions. A bit of research on companion planting will help reduce your pest and disease problems down the road. If you have no experience with gardening, start out with plants in containers, a small raised bed, or some houseplants. Sprouting your own mung bean seeds and growing salad greens on the deck are good projects. Read about gardening, take free classes or volunteer for a park or botanical garden to get some experience under your belt before you design your back yard oasis! You don’t need to purchase a fancy compost bin to start composting your biodegradable yard waste and kitchen scraps. 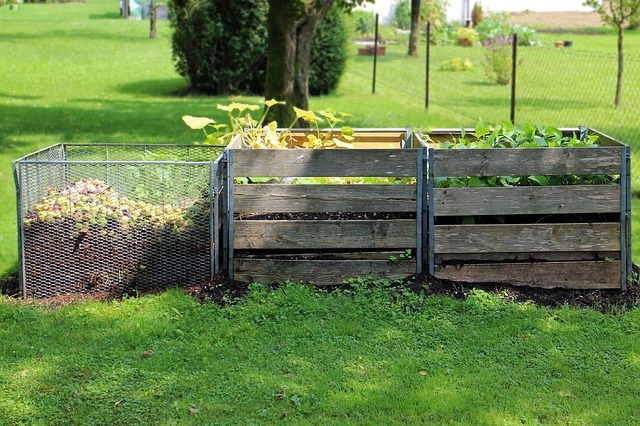 Old pallets may be fashioned into a 2 or 3 bin composter. An old garbage can with the bottom cut out can be set down in a hole to form a free composter. Mix grass clippings, dried plant material, kitchen scraps (skip the meat and dairy), and other organic materials in your composter. Turn and keep moist (but not wet) and you’ll have brown gold for your garden! Use your homemade compost to ammend garden beds, mulch vegetable plants, make compost tea, and make your own potting soil. You won’t need to purchase nearly as many products for your veggie garden…and you’ll save a lot of green. If compost bins aren’t allowed in your neighborhood, you might be able to build a worm bin composter to take care of kitchen scraps and feed your garden! Or chop your scraps up and bury them right in the garden before you plant. Compost tea is a wonderful fertilizer for seedlings, organic veggies, container plants, and houseplants. Just place finished compost in a loose knit cloth, tie it up, place in a bucket of water for a day or two, and use to water your plants. The leftover compost may be used as mulch. It’s easy to make and does wonders for your plants! Use dried grass clippings, compost, wood chips, or straw to mulch your plants. Mulch holds in moisture, reducing the watering chores and saving money on your utilities. If you have a well, you are probably still using electricity to pump that water out to the garden. So mulching not only saves water, but it will help you pinch your pennies too. A soaker hose or drip hose is another good way to cut down on your water bills. Watering your garden with a sprinkler may be the easy solution, but a lot of water is lost to evaporation. In addition, watering your garden with the sprinkler gets the leaves wet and can lead to increased fungal disease, mold and rot…and that means reduced harvests and a higher investment for a lower return. Tip: Use an old hose and poke lots of holes along one side and cap off the end of the hose. Lay the hose with the holes pointing down, along the row of plants you need to water and you’ve got your own repurposed, no cost drip hose. Turn the water on just so it trickles from the hose. Set up a grey water system to reduce your water usage. Grey water may be used for watering your lanscaping plants if you use biodegradable soaps in your home. Even if you can’t install a grey water system, you can wash your dishes in a dish pan and use the dirty water in the garden. This may not save you a ton of money, but the bits of food in the dish water will help fertilizer you plants and you’ll be a little more environmentally friendly…and over the years you will save money too. Purchasing a rain barrel can be pretty pricey, especially if you opt for a fancy one. You can make your own from a food grade plastic barrel and a few supplies. Not only will you save money on building your rain barrel, but you’ll also save water (and money). Heirloom seeds are a great way to save money. 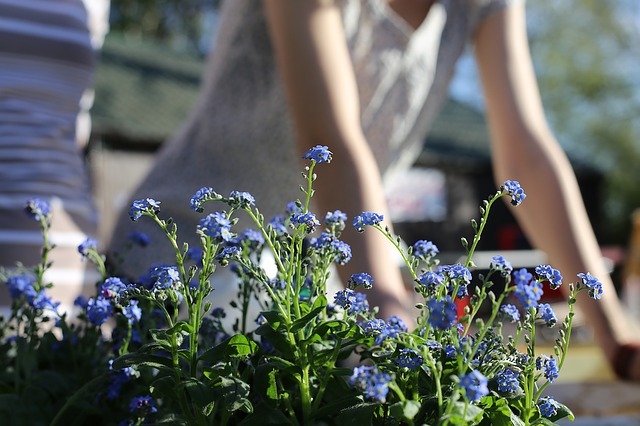 Have you ever totalled up the bill for all the seeds and plants you purchase each spring? Start out with heirloom varieties and you’ll be able to save the seed to plant your garden the following year. Do some reading before you get started. Some vegetables are biennials and must be grown for two seasons to produce seed. Also, some crops cross pollinate easily and you’ll want to separate them to keep your seed pure. The bulk section at the grocery store may yeild seeds for your garden, or for sprouting indoors! You don’t necessarily need to purchase all of your seeds from a garden supply catalog. The grocery store is an inexpensive place to pick up beans for drying, such as black turtle, pinto, and navy beans. You can also get wheat berries, lentils, split peas, popcorn, and other grains from the store. The produce section is another seemingly unlikely source for starting plants. Save the avacado pit to grow an avacado tree. Citrus fruits have seeds that will grow new trees. 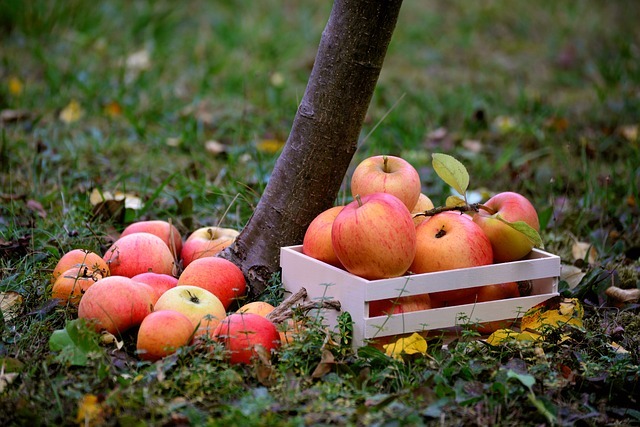 Although apple seeds won’t grow a tree that produces the same variety of apple that you just ate, you can still experiment if you have the space. The cost of perennial flowers, herbs, vegetables, and fruits in pots is certainly not dirt cheap….but the seeds usually are! You can find a wide variety seeds available for starting your own nursery of baby plants. It takes longer to fill in an area, but you can save a lot of money by starting from seed. Buy one daylily and before you know it you’ll have a clump large enough to divide. The same thing goes for rhubarb, perennial herbs, and many other plants. Strawberries will grow their own replacements. Some plants are so easy to propagate that the real job is keeping them under control. Strawberry plants send out runners that will fill up a bed in a couple of years. Raspberries and other briars will bend over and start a new plant whereve they touch the ground. 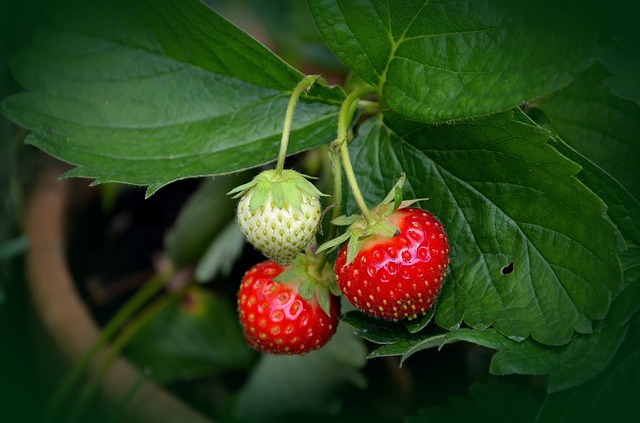 Other plants take a little more effort and will require taking a cutting at the proper time of year, dipping in rooting hormone, planting in well drained soil, and covering to hold in moisture. With a bit of know how you can turn one plant into many plants. So you don’t have to purchase 100 strawberry plants if you are patient. You can order 10 and then propagate your own! Neighbors, friends, and family are a great source of new plants. Just tell them how pretty that ground cover is, or how much you’d like to have your own horseradish, and the next thing you know they will have a shovel and bucket out to dig some up for you. 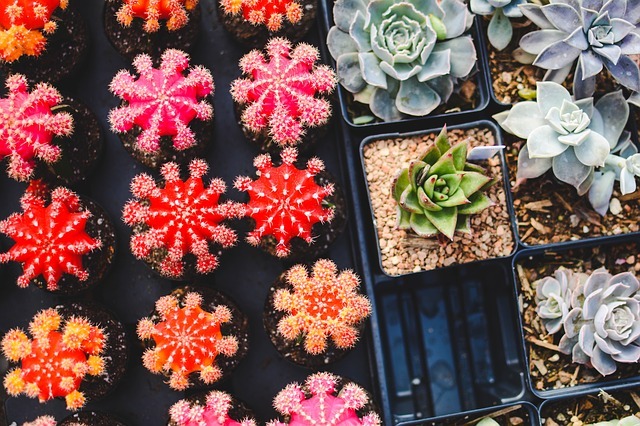 If you don’t have anyone around with plants to offer, check with a local garden club or start taking walks around your neighborhood and get to know people who are plant fanatics. Buying started pepper plants can run several dollars for one plant. The same cash can buy an entire packet of seeds! 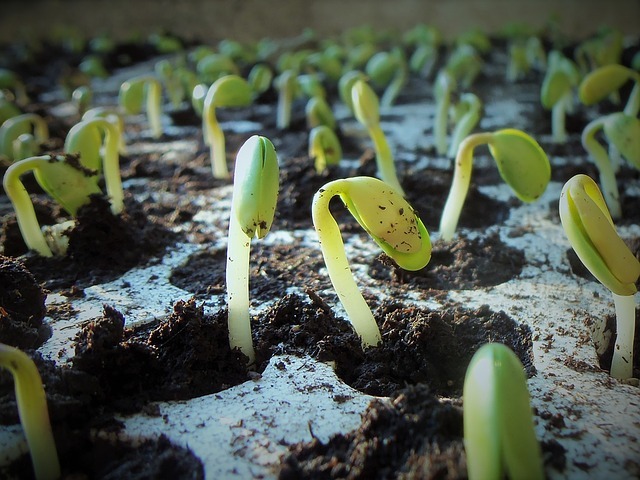 Start your own seedlings in a sunny window or under a shoplight in the late winter or early spring. Not only will you save money, but you’ll have many more choices in the varieties you can grow. Here are complete instructions on starting seedlings indoors for your vegetable garden. Remember that compost pile? Well rotted compost makes amazing potting soil for starting your own seedlings, potting up annuals for your deck, or replanting a houseplant. Mulched and rotted leaves from raking your lawn in fall are another great potting soil substitute. You’d love to extend the garden season and have some cool season salad greens into the winter, but the expense of a cold frame, tunnel, or greenhouse is not in the budget. The good news is that you can create your own, often with salvaged or repurposed materials. If you are having windows replaced, save the old ones for your project. Check Craigslist or freecycle for materials. Use clear heavy plastic over a cattle panel for a high tunnel. There are a ton of DIY sites online that will show you just how to build your new project. Here is a cheap idea for a cold fame made wtih straw bales and old windows. Did I just mention Craigslist and Freecycle? These are great sources for old pots, woodchips, straw bales, pallets, tools, cardboard, fencing materials, old sheds…the list depends on where you live and what people want to get rid of. Sometimes you’ll need to shell out some dough, so make sure it is money well spent. If you are near a well to do community, there may be some pretty sweet finds. Just be really careful not to put yourself in danger. Take someone with you, meet in a public place, and if the ad sounds too good to be true…be suspicious. Use old cardboard boxes in the garden to suppress weeds. This guy will have to move so we can break down the box! You want to plant a new garden bed, but removing the sod and renting a rototiller sounds like soooo much work and expense. Here’s the easy way to start a new garden bed or walking path. Mark the outline with some flour (cheap white flour works great) if you want to work on the layout, then place 2 or 3 layers of cardboard on the ground, then top with soil or mulch. 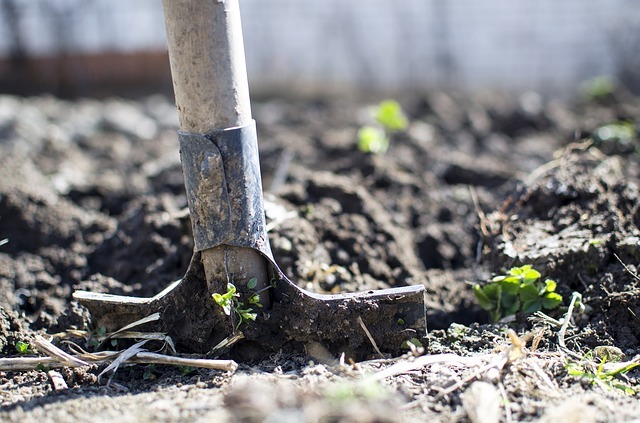 If you want to plant right away, you will need a good deep layer of topsoil. Plan ahead in fall for the following spring and you can top the cardboard with straw, mulch, or grass clippings. Let it rot down and turn the soil in spring and you’ll have a nice garden bed! For a walking path, top the card board with your pavers or wood chips, whatever you plan to make your path out of. Just make sure there is something weighting the cardboard down or it may fly away in the wind. A permaculture garden consists of trees, shrubs, and perennial plants that produce food for your family (and maybe even some livestock). This is a permanent planting of fruit and nut trees, berry bushes and grape vines, and perennial food plants such as asparagus and rhubarb. You plant once and harvest for a lifetime! Although it takes some time to establish a permaculture garden, you don’t need to purchase plants each year to produce your food…unless you wish to add some annuals to the mix. And remember, you can save seeds to reduce that cost too! Native trees, shrubs, perennials, and grasses have evolved to do well under your local growing conditions. They don’t need the care that exotics require. Natives are great for providing habitat for polinators, birds, and mammals…in addition, they don’t need pesticides and fertilizers. They are great for your decorative landscaping and some will also provide food. 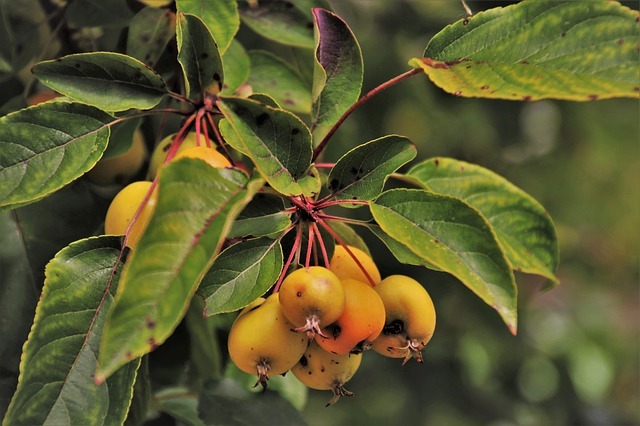 Serviceberry, sugar maple, wild blueberries, and rugosa roses are examples of native plants that provide edibles for your table. Not only are conventional herbicides and insecticides expensive, they really aren’t good for your health. Sure, there is a need for them on occasion, but most of the time we can skip the storebought stuff and either hand pick the pests, or use a home made alternative. Many insects, fungi, and other plant diseases can be treated with a homemade, all natural remedy. 1 quart of water, with a drop of dishsoap, a teaspoon of rubbing alchohol, and a teaspoon of baking soda can be used to kill aphids and treat fungus. Vinegar may be applied to weeds for a natural weedkiller. These homemade remedies are cheap and much better for the health of our garden and our family. 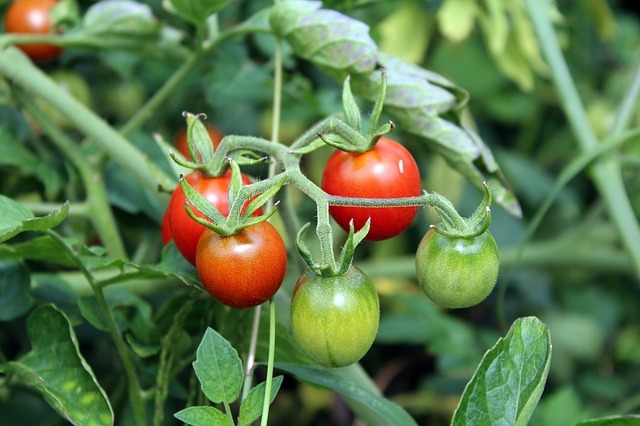 Plant tomatoes and other plants that are disease resistant. Nip the problem in the bud by planting varieties that are disease resistant. If you have problems with fusarium wilt in your tomato patch, use a resistant variety. Are Emerald Ash Borer a problem in your area? Don’t plant ash trees. 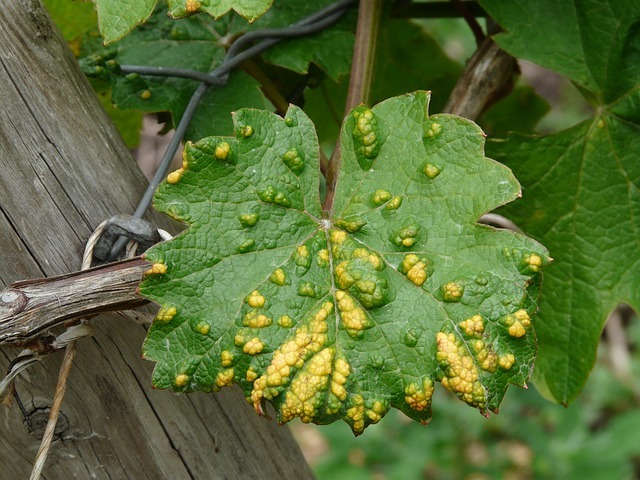 Of course, sometimes new insects and diseases show up after we’ve already planted…so be on the lookout for problems and treat before it’s too late. After the main planting season has ended, you may find good plants marked down. Now, this can be tricky. If you have a tendency to go crazy because something is on sale and buy too much of it…then ignore this tip! On the other hand, you can pick up some great bargins after the spring or fall rush is over. Just make sure that the plant material you purchase isn’t diseased or dying and it is a plant that will do well in your yard. Don’t buy it just because it’s on sale…it should fulfill a purpose! Fall is a great time to pick up bags of mulch, decorative pots, seeds, and tools at a discount. Don’t bring home plants that are diseased. This should go without saying, but we’ll say it anyway. If a plant looks diseased, it may spread something to your other plants and that could wipe out some of your hard work and investment. Invasive plants will take over an area and can be very difficult to get rid of. Do some research before purchasing plants and avoid anything that may choke out other plants. Broken terra cotta pots? 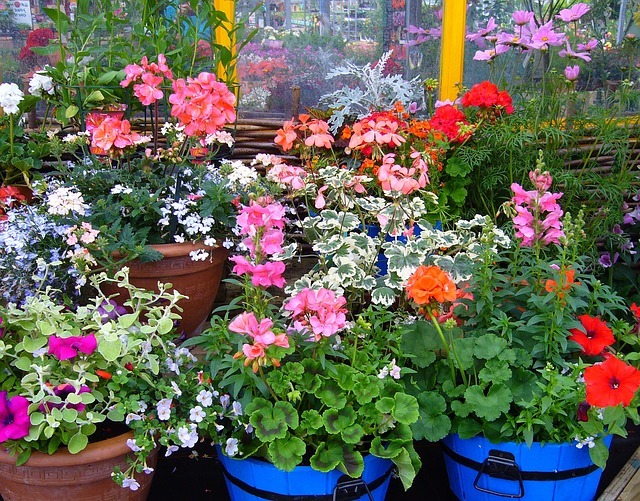 Break into small pieces and place in the bottom of containers to keep soil in and allow drainage from potted plants. Use old lumber to build a cold frame, raised bed, or garden shed. 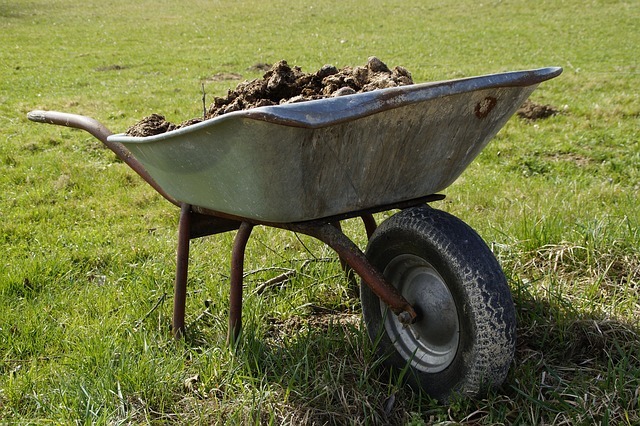 An old wheelbarrow can be used as a moveable planter. Broken shovel handle? Use as a stake! Let your imagination and thrifty nature guide you in reusing and recycling before tossing out. 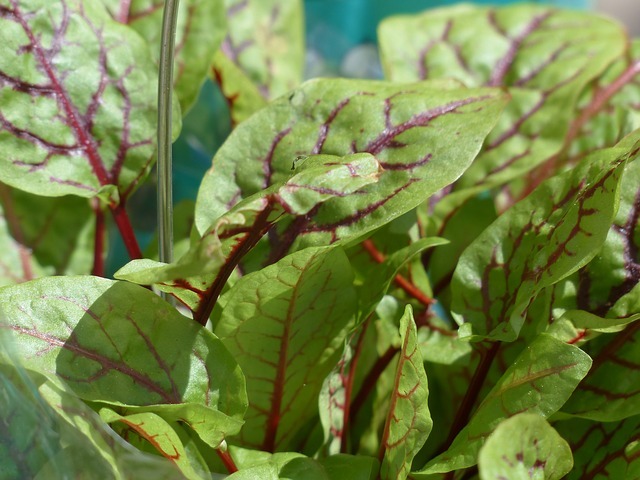 Blood sorrel is a perennial that comes up early in the spring and provides greens. Rhubarb, asparagus, strawberries, oregano, thyme, perennial onions…these (and many others) may be planted once to give you harvests for years to come. Prepare their spots thoroughly to give them a permanent place in your garden and sidedress with compost each year. You might even be able to find starts for these plants free on Craigslist! 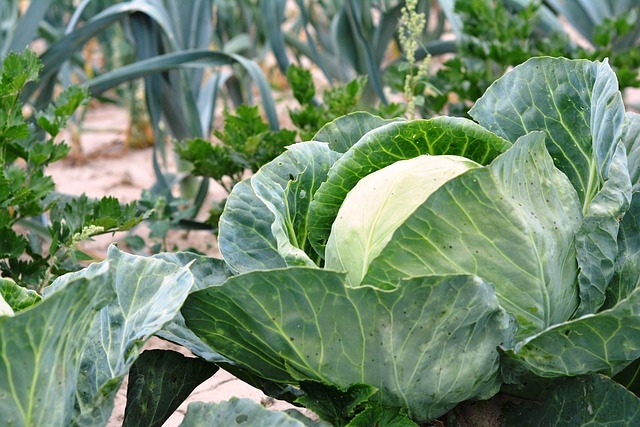 Here are some Perennial Vegetables and Perennial Fruits that provide harvests year after year. Now, don’t make friends with someone just to get your hands on their horse manure. But if you happen to have a farm nearby and you meet the nice folks who live there…they may be willing to give you composted manure from their livestock. This stuff is great for working into your garden once it has rotted. This might sound like a no-brainer, but you’d be surprised how many people grow veggies and then never pick and use them. Check with your family to see what produce they like best and try growing these crops. Love cherry tomatoes, but not a fan of beefsteaks? Grow cherry tomatoes. Make a list of your favorites and read up on how to grow them. Stick with the easiest veggies the first year and add to your list in the future. Bring your potted plants in for the winter to save them for next summer. Rosemary, begonias, tropical plants, and even geraniums will overwinter well in your house with a sunny window and proper watering. Bring them in before the weather gets cool for the best transition. Check for insects or disease so you don’t spread any problems to your houseplants. Repot if necessary and give some ferilizer in the spring. You won’t need to purchase new plants for your deck next year! 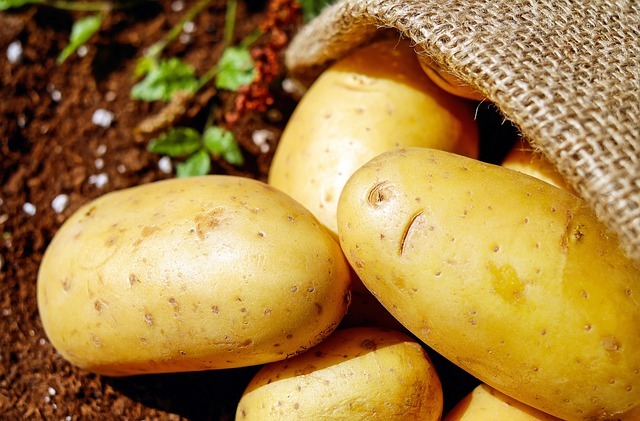 Some plants produce tubers that may be dug in fall to overwinter and plant again the next year in cold areas. Dahlias, Cannas, and gladiolas will produce many new tubers or corms each year, giving you more for your money! Enter Promo Code SelfSufficient for additional 10% Discount! This is a tough goal to keep. With all the great looking seed descriptions and colorful photos in your garden catalogs, would anyone blame you for adding just a few more things to your order? Well, when seed packets put you back $3 or more per packet, it doesn’t take long to go over budget. Look through your leftover seeds from the previous year, make a list of what you want to plant, and then decide what seeds and plants to add to your order. Stick to the order so you don’t end up with more than you have room for, and you don’t spend more than you budgeted. 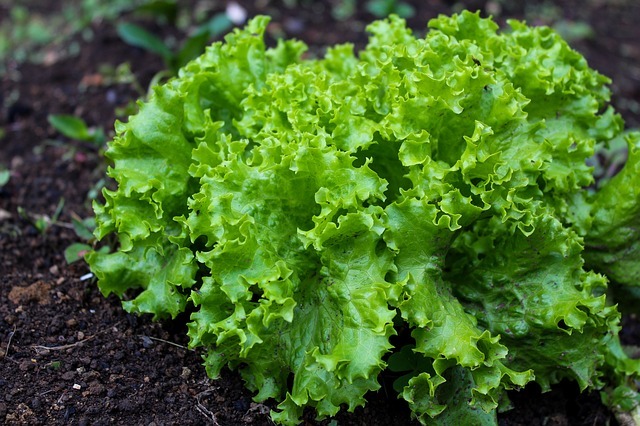 Leaf lettuce can be cut and will grow another crop. Some crops will produce a second, and even a third crop when harvested correctly. Looseleaf lettuce, celergy, green onions, and even cabbage will produce more food if you don’t harvest by cutting too close to the roots. Plant these crops and harvest again to get more food for your money! Other crops continue to produce a harvest for a long season. Snip just a few leaves from your herbs, such as basil and cilantro, and they will keep putting out more delicious leaves for you. Plant indeterminate varieties of tomatoes if you’d like a few every day for your salads and sandwiches. Green peppers, eggplants, pole beans, kale, collards, and many other crops will produce over a long period of time rather than one large crop. You can eat from the garden all summer long and still have extras to preserve, if you plan ahead and choose the right crops. You’ve had that packet of lettuce seeds for several years, but your favorite seed company has a great sale on lettuce. What to do? Test the germination rate of your leftover packet to see if they will sprout and produce food for you this year. Place 10 seeds on a moist (not soaking wet) paper towel, fold the towel over and place in a plastic zip baggie. Zip shut and put in a warm place to induce sprouting. Check every day and moisten the towel if needed. If the seeds don’t sprout in the expected time (check packet for time to germination), you’ll want to buy another packet. When 5 out of 10 seeds sprout, you have a 50% germination rate and it’s time to use up those seeds. 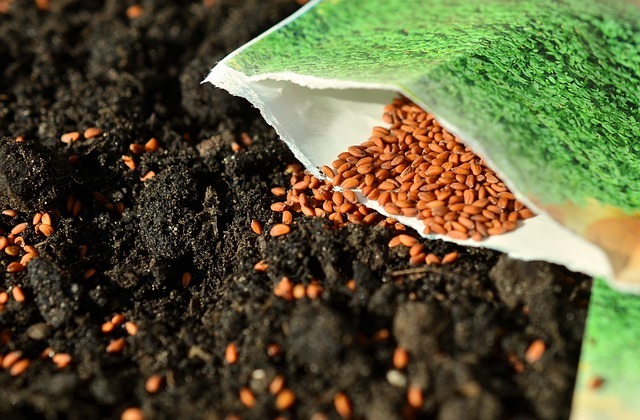 Instead of just buying the seeds and worrying about it later, you’ll know whether the seeds you have will provide food for you and that saves you some money in the long run. Use plants with multiple purposes. You can eat the squash blossoms and the squash! Some crops do double duty. For example, beets produce several little plants from one seed cluster, which means they need to be thinned out or they’ll be too crowded. Use the baby greens in your salad or cook up some beet greens. Then havest the rest of the beets for their roots, and eat the greens. Do the same thing with turnips and rutabagas. 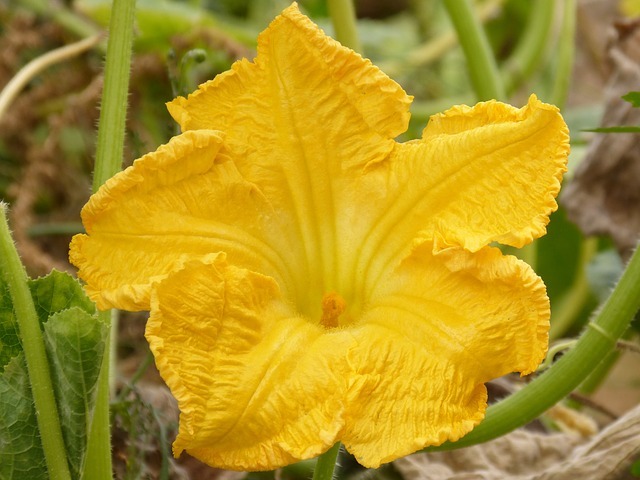 Squash and pumpins have edible flowers that taste great stuffed with cheese and fried. Many herbs have medicinal purposes for common ailments. Oregano is a tasty additon to your pasta, but it is also an antibacterial. Calendula is a beautiful flower that may be dried and used for treating skin problems. Many flowers are edible and also provide nectar for polinators and other beneficial insects. Do a little research to see how many ways you can use each plant in your garden. Use plants that spread and naturalize areas to give more bang for your buck. If you have a large area that you’d like to plant with a natural look, use plants that mulitply and fill in over the years. 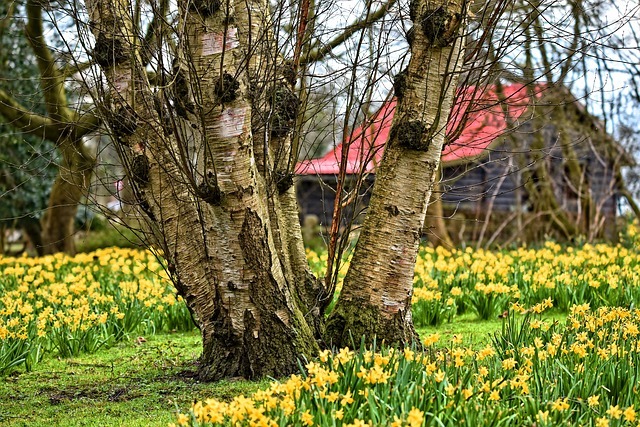 Daffodils, species tulips, and crocus are spring flowering bulbs that will spread and create a wonderful display. Native grasses, coneflower, and other prairie plants will reseed and naturalize an area. Many common flowers self sow each year and provide an attactive display without becoming invasive. 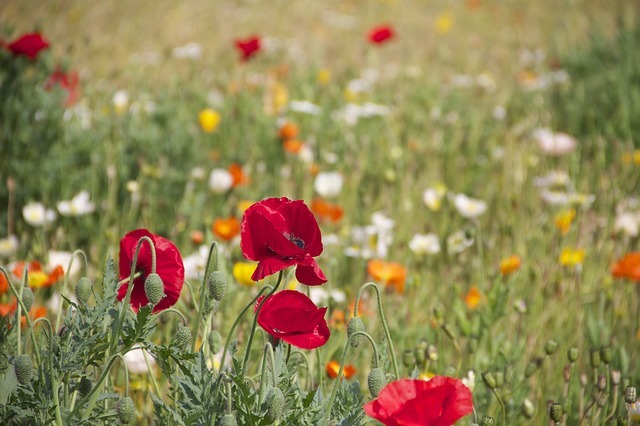 California poppies, cosmos, and cleome are some readily available self seeding flowers that lend themselves well to a cottage garden bed or border. You only have to purchase their seeds once! Ask friends to help with big garden projects. Perhaps you have a large project that just isn’t something you can get done on your own. Maybe the deck needs to be stained or you want to build an arbor. Ask your friends and family to help out and provide a picnic meal and all the beverages they want for the day. Turn it into a fun event, but make sure you have the materials you need and at least one person with the know-how to act as foreman for the day. It will be cheaper than hiring a company to do the work, and you’ll have fun working on a project with your tribe. 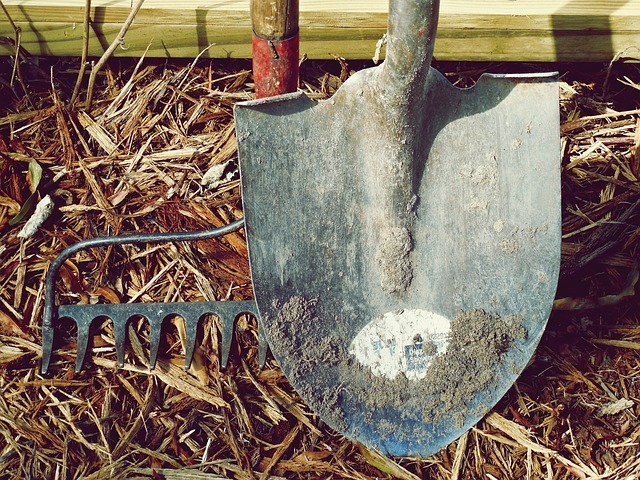 Don’t buy the cheapest shovel, rake, or cultivator you can find at the discount store…unless you can tell that it is well made and will last. Usually spending more on your tools is better in the long run because they will last and take more abuse than the cheap ones. Clean them after each use and use vegetable oil to wipe them down and prevent rust. Store them in a dry place and never leave them laying outside. Before you shovel over a fortune for those quality tools, check around at garage sales and second hand stores to see if you can find gently used, quality tools and materials. You might luck out and find garden gloves, a rake, tomato cages and other things that someone bought and didn’t use, or doesn’t need anymore. Use Promo Code SelfSufficient at checkout for discount! You don’t want to look like the crazy garbage guy who goes through dumpsters looking for good stuff, right? Well, maybe dumpster diving isn’t your thing. However, you can sometimes find good stuff by driving around on garbage morning real slow to see if anyone has old pots, outdoor furniture, or other goodies on the curb. Sometimes you hit the jackpot after someone moves or cleans out their garage! Sell your extra plants to help fund your garden projects. Maybe being thrifty isn’t stretching your garden budget as far as you’d like. How about selling your extra produce, plants, seeds, or crafts made from your garden? If you have grape vines, make wreaths. An abundance of oregano may be divided, potted up in repurposed, trendy pots and added to your garage sale offerings. Save flower seeds and make seed bombs to sell on Etsy. With a bit of imagination and some crafty eco-friendly packaging…you might be surprised at how well they sell! There are bound to be other ways to save on your garden expenses this year. What did we miss? Tell us how you save money and grow a great garden…we’d love to know! I am planning to start my own peppers and tomatoes this year. So much more economical. Thank you, Anna…glad to hear that these tips are inspiring! If you can sell your extras it will help to fund future seed purchases! Best wishes! Grow Vegetables Your Family Will Eat is especially important! Why waste space, time and money on vegetables no one eats? Also, don’t over-plant their appetites, like us with cukes last year! So true, Karen. I have a hard time with the over planting thingy…I end up giving food away. But at least it isn’t wasted, right?! They are all good tips but #12 is most important for me because I live in a dry climate. Mulch really does help retain moisture so you don’t have to water as often. I had the opposite problem last summer. I thought it would never stop raining. Too bad we can’t share! Great ideas! I want to start making compost tea! I like the companion planting tip and permaculture tip. Make a List and Stick To It When Purchasing Seeds – Trying to get my garden mates to do this right now! Yeah, that’s a tough one! I really need to get to know my nearby neighbors a little better. They have a phenomenal homestead. What a wonderful and full list of gardening tips. I think you have included every area of gardening from start to finish. I find that the companion planted helps with some pests quite a bit and i do the composting as much as possible.I’m going to book mark this to refer back to it when Spring comes. Thanks for sharing all this great information. Wow, what an extensive list of super ideas! I do some of these, but there are some on here that I need to start doing! I am using my cardboard (amazon boxes, ha ha) to put over a heavily weedy garden bed in hopes of killing off the crabgrass, which is completely taking over. Hopefully it will work! Thank you, Kristi! I have a few of those boxes too, lol. 🙂 Crabgrass is a bear to get rid of. I wonder if you could put down more than one layer and completely cover the entire area? Good luck! I use so many of these already! I love permaculture. That’s awesome, Terri! Keep up the great work! Great advice, one of the best courses I ever took was from the extension bureau when I became a master gardener! Me too, Nancy! I am rethinking my decision to list my Master Gardener alumni credentials, wondering if it is kosher to list here. Not sure about that! I bet you are looking forward to getting a new garden going! Can’t say enough good things about our extension office for helping. I love rain barrels. I actually have two in my yard at the moment! That’s awesome, Michelle! Thanks for saving water! Having a plan is a great , and overlooked tip. It saves me money , and tears, Be realistic about what you have to work with and plan accordingly. So true, Tami…I wish I had done this when I started my very first garden! Thanks for sharing! Finding my local extension office was so helpful! I learned much more than I thought I would and received all sorts of help. It was a great experience and I plan to go back. I never knew how much the Extension Office can do to help gardeners…until I went through their training sessions to be a Master Gardener! I am considered an Alumni now, because I haven’t been involved in quite a few years. But they are still very helpful! Test the soil is my fav. I didn’t for years and produced less than I hoped for and smaller plants. I added lime and cow manure but it needed a lot more than that! It is so helpful to start off with that small investment before you start! Thanks for sharing, Joanne! I Love the tip to compost kitchen scraps. We try not to waste in our household. I love all of the tips but the composting tip and rain barrel tip will really help me as I am wanting to build a composting area and set up rain barrels for watering this spring. Thank you. Me too, Laura! Thanks for stopping by! I have long been a fan of companion planting! Great tip.